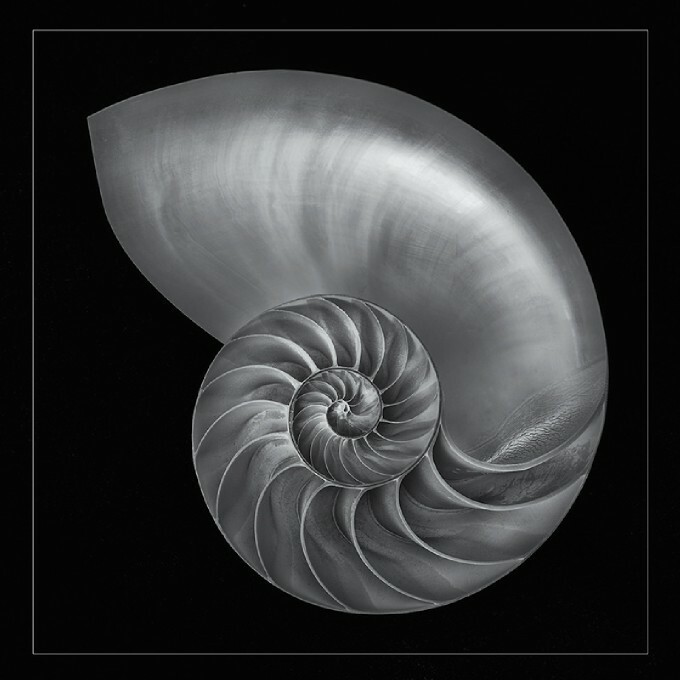 Photo above: To make this image of a nautilus shell on black velvet, I stopped my Zeiss Otus 1.4/55 down to f/16 and used a shutter speed of 1/8 of a second with the camera mounted on my tripod. One of the great pleasures of being a Zeiss Lens Ambassador is getting to play with (oops, I mean “work with”) many of the fine lenses made by Zeiss. But, even in the universe of top-notch Zeiss optics, the Otus 1.4/55mm is something special. 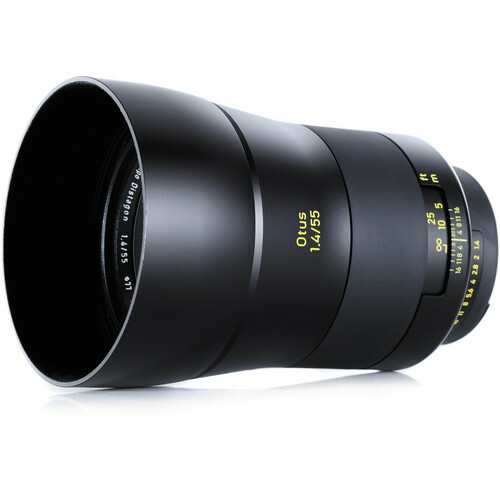 Otus is the first in a new line of DSLR lenses from Zeiss. The name “Otus” refers to a genus of owls (Zeiss has taken to naming lens product lines after birds with specifically sharp-eyed and farsighted vision). The Otus 1.4/55 is intended for photographers who are not cost-conscious and are more concerned with having the absolute optically best lens for studio or field applications. When used on a full-frame DSLR, the results approach what one would expect from a far more expensive medium format camera. There are also some possible applications in high-end video making. So, no wonder I was excited a few weeks ago when I learned that my Otus was on its way to me! 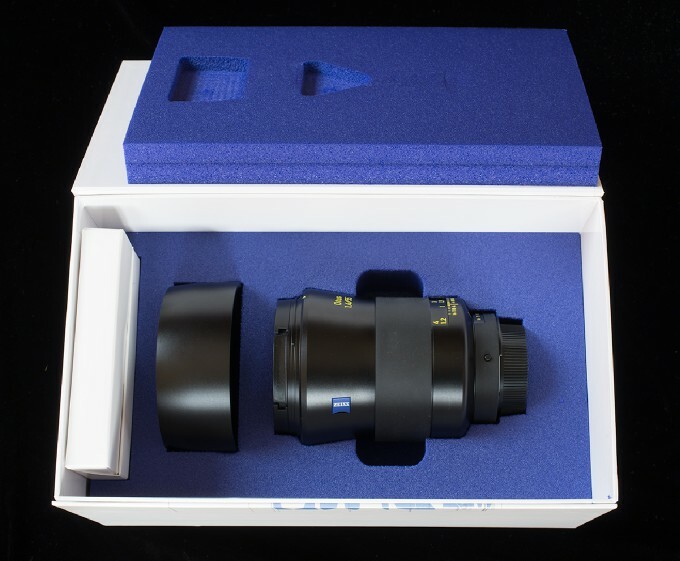 Otus is the culmination of a long history of Zeiss optical design, and the quote on the box shows that the manufacturer has created something extraordinary, and wants to share this feeling with you. When Otus arrived, it was like my birthday and Christmas all rolled into one. Even the experience of opening Otus from its box is noteworthy. 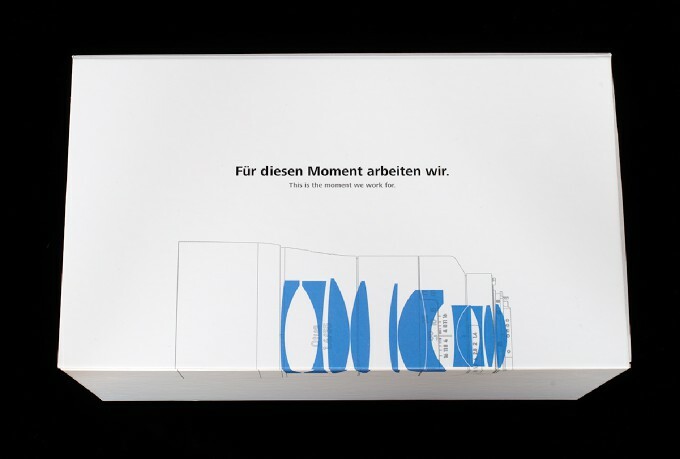 In smaller type is the English translation, “This is the moment we work for.” This means that the good optical designer and lens craftspeople at Zeiss are as happy as you are when you open the box with an Otus lens inside. Based on my own personal experience, this is probably not true: it is unlikely that my own happiness at opening Otus and knowing that he was mine to use could be matched by anyone else! Joking aside, the sense of pride in making a product that is simply the very finest is evident in everything about Otus and how he is presented. When you lift the fitted hinge on the top of the Otus box, you are faced with a majestic lens neatly fitted with high-compression, royal blue foam. Usually I don’t have much use for the boxes that cameras and lenses come in. The lenses pretty quickly move into one of my gear bags, and the empty boxes go down to the basement where they will be pressed into service in the sad eventuality that I have to send the lens in for service. But with Otus, the box is so well built—and such a great stage setting for this incredible lens—that I’ve been keeping him in his box ever since he arrived (except, of course, when I take him out for a spin!). Even the die-cut box interior and compression foam is a cut above the design you’ll find in most camera gear boxes. Otus is not a zoom lens. It has a fixed focal length of 55mm. Otus doesn’t focus particularly close. He is not a macro lens. Otus doesn’t autofocus. He is strictly a manual focus kind of lens. Otus is not a cheap date. He is one expensive piece of glass (currently about $4,000). Otus is no light weight. For a fixed-focal length prime lens, he is surprisingly heavy. This can probably be attributed to the 12 internal quality glass elements. Otus does not do the dishes, or wash the laundry! Every aspect of the Otus 1.4/55 has been well designed and manufactured. Photo courtesy Carl Zeiss. So what is Otus? He’s a fixed-focal length, prime lens. The fixed-focal length part means that unlike a zoom lens, there’s no using the lens to optically get you “closer” or “further away” from your subject. A prime lens is one that roughly reproduces the angle of view of normal human sight. On a full-frame DSLR, this criteria is met by Otus’s focal length, 55mm. Otus comes in the Nikon mount (Zeiss lenses intended for use on a Nikon DSLR are labeled “ZF.2”) and the Canon mount (Zeiss lenses intended for use on a Canon DSLR are called “ZE”). Although by no means unheard of, or a record for a prime lens, Otus is capable of capturing imagery in very dim conditions. This is designated by the f/1.4 maximum aperture. The ability to let in a great deal of light is part of what leads to the extraordinary nature of some of the images that can be captured with Otus (more on this later). Otus is a manual-focus lens without the possibility of autofocusing. 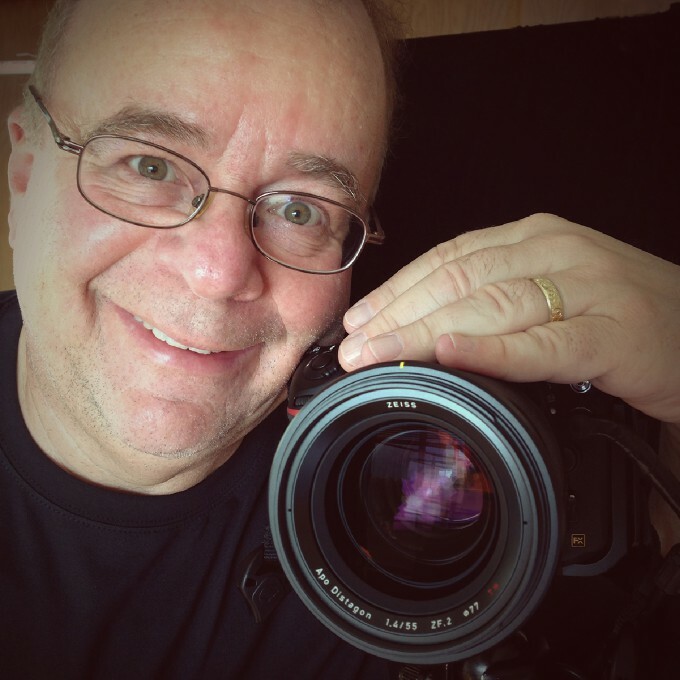 His manual focus knob has a very smooth, long “pull”—meaning it can be shifted in small increments across its entire distance range. It is well-calibrated and smooth as silk. This is a lens that is truly designed for manual focusing, as opposed to many of today’s lenses where manual focus is more of an afterthought. In my photographic style, I usually prefer to manually focus, except in certain specific situations. It is truly a relief to use a lens that makes this easy, even with today’s DSLRs that lack internal focusing screens intended for those of us who prefer manual focus. In terms of size and weight, Otus is hefty for a prime len. To give you a sense of what this means in practice, the dimensions and weight are about the same as those of my Nikkor 28-300 zoom lens. So, this balances out as heavy for a fixed-focal length prime lens—but not so heavy as to be preposterous to carry around in a camera bag for everyday shooting if one wants extraordinary results. 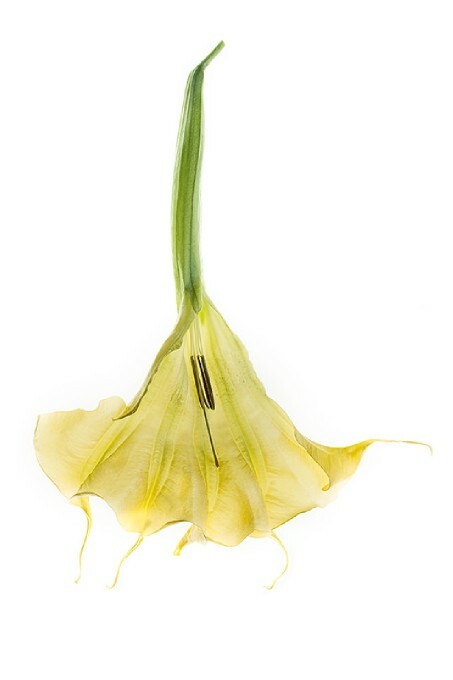 At f/10, this shot of a Brumansia on a light table is tack sharp. The lens one uses as a photographer shapes the way a photograph looks and controls the palette of photographic possibilities, in much the same way that the brush a painter uses (and the strokes the painter knows how to employ) control the possible ways that the paint will look on a canvas. The choice of lens is one of the most important choices a photographer can make. Somewhat paradoxically, the lower the quality of the capture device (the sensor), the less important lens quality is—because you won’t see high quality anyhow from the sensor. So, I wouldn’t pair an optically extraordinary lens like my Otus 1.4/55 with a five or ten year old low-megapixel sensor because you would never see the quality that Otus has to offer. The higher the quality of a camera sensor, and the more resolution that it is capable of, the more the optical quality of the lens matters. If you use a poor quality lens on my Nikon D800 (with a 36MP sensor) then you will most likely see poor results, and the quality of the lens is the limiting factor. As a general rule, the weakest link in the optical chain is what determines the optical quality of the results, and the weakest link is certainly not going to be Otus! I’m not a testing lab and I haven’t conducted any kind of formal testing. Since I don’t have benchmark comparisons, this would be kind of pointless anyway. My only frame of reference is my vision as an artist and photographer. From this frame of reference, I’m not surprised to find that Otus is the sharpest lens I’ve ever used, with clear and crisp color rendition across the apertures I’ve tried. It’s excellent in low light conditions. Two additional characteristics have surprised me, and both are somewhat subjective. First, my Otus produces remarkable out-of-focus highlights when used at wide-open apertures. 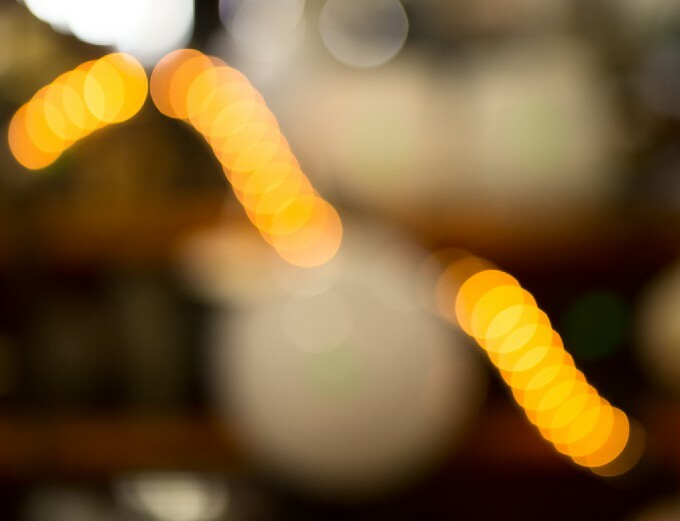 At f/1.4, the Zeiss Otus 1.4/55 renders out-of-focus highlights very attractively. Second, and more important, there is an overall quality of lightness and luminance about the images that is quite extraordinary. After all, photography is about capturing light. You cannot capture a subject that does not emit or reflect light. It’s the way the Otus handles and renders the medium of light itself that makes Otus so special. I think this quality will help me as an image creator as I strive to push the limits of what a DSLR can do. As you can see in this shot of massed tulips, images made with the Zeiss Otus 1.4/55 can have an incredible bright quality of luminance. No single lens is right for every photographer, or every situation. This is a corollary of the truism that the craft of photography is a craft of trade-offs. The impeccably made and optically superb Zeiss Otus 1.4/55 is a manual focus prime lens. If you can afford it, and if you can work with manual focus (which is often, in fact, my preference), then this lens will yield incomparable results when paired with a high resolution full frame sensor. The unique characteristics of the Zeiss Otus 1.4/55. Zeiss Otus. Selfie via iPhone 5. 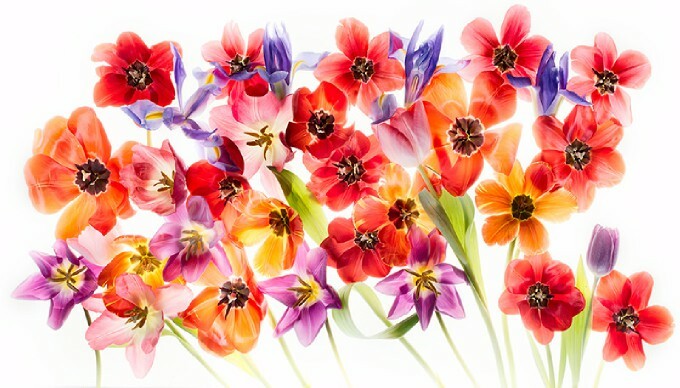 Harold Davis is an internationally-known digital artist and award-winning professional photographer. He is the author of many bestselling photography books. His most recent titles are The Way of the Digital Photographer (a “best photography book” of 2013, published by Peachpit Press) and Monochromatic HDR Photography published by Focal Press. Harold leads popular technique and destination photography workshops to many locations including Paris, France; Heidelberg, Germany; and the ancient Bristlecone Pines of the eastern Sierra Nevada. You can learn more about Harold and his work on his website, www.digitalfieldguide.com, and by reading his popular blog, www.digitalfieldguide.com/blog.